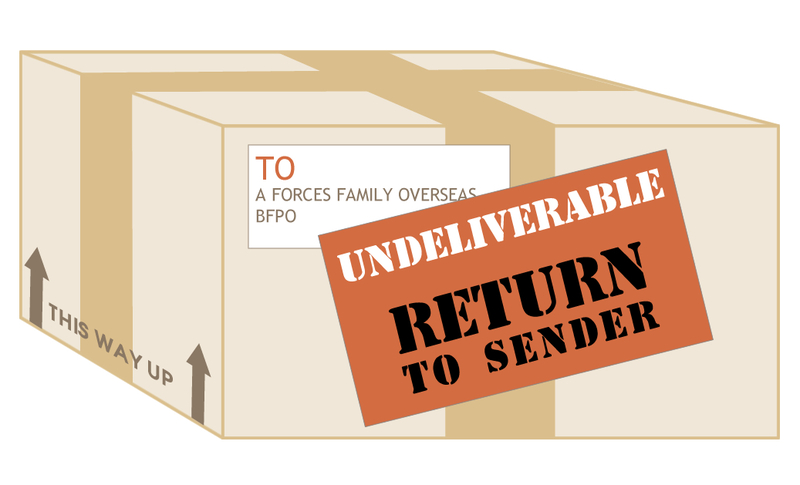 My most recent order from Amazon.co.uk was deemed ‘undeliverable’ to our BFPO address. The email from Amazon notifying me of this problem included my supposed address. I say supposed because the address was not what I provided and it does not match what is on my Amazon account details, which means a person or system from a third party altered part of it, thereby making it invalid for the purpose of BFPO delivery. From my brief straw poll it seems that I’m not alone in having experienced this issue in recent weeks. Amazon is as puzzled as I am by the change to the address details, and they are trying to find out why this has happened. Both Amazon and I have double checked that my address details on my account conform with BFPO and Amazon’s requirements, which they do. Not only is it very annoying that I have to chase this up, but more importantly is that it meant both a delay in the delivery and paying more for reordering as I originally got it at a reduced rate.